KEWEENAW PENINSULA — If you’re a parent of children under the age of five, you already know how tough it can be to find a safe play area for your kids in the winter season. A non profit organization in the Keweenaw Peninsula has a solution to the winter blues for both parents and toddlers. Play grounds and outdoor recreation areas in the UP are all but forgotten until the spring. Swing sets, monkey bars, and basketball courts all have a blanket of snow on top of them and for toddlers outdoor play time is limited this time of year, but parents in the Keweenaw have an indoor alternative that offers their child the ability to schedule a play date no matter what the weather is like outside. “Our flagship program is our indoor playground which you can see here,” Brubaker said. “The indoor playground is open to all families with children ages 0-4. Parents can bring their kids here to play. In the winter its a great place to come because it’s warm and dry. It has equipment that is specifically designed for the younger children. From the climbing wall to the slide to the tree house, to the dress up corner and the kitchen. Parents are required to accompany their child at the indoor playground, which has been known to build long lasting friendships. The KFRC serves families in the area in many ways, and is currently collecting parenting supplies that will be distributed to those who need them. 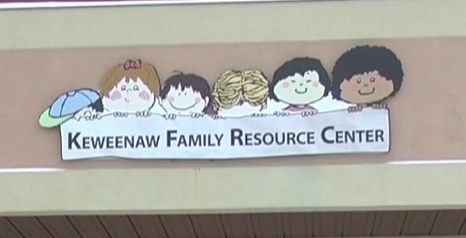 Whether your in need of diapers, or winter clothing, would like to donate, or take advantage of the indoor playground, the folks at the Keweenaw Family Resource Center are glad to help and can be reached at (906) 482-9363.